You are here: Home » Events » The Practical Guide to Accessible Tourism on Greenways is out now! 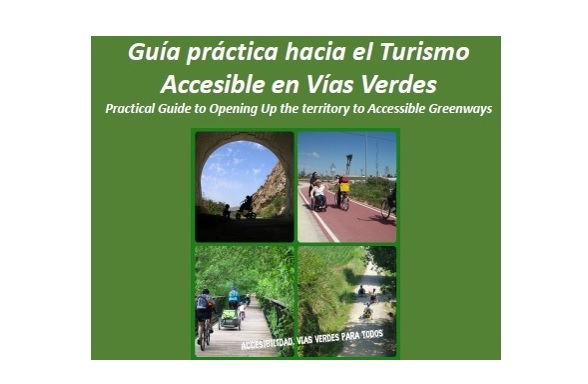 The Practical Guide to Accessible Tourism on Greenways is out now! 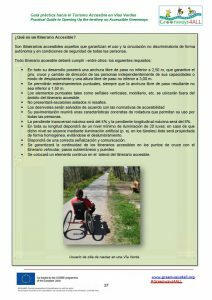 The Practical Guide to Accessible Tourism on Greenways is available. The guide has been produced by PREDIF and FFE, with the cooperation of the European Greenways Association. 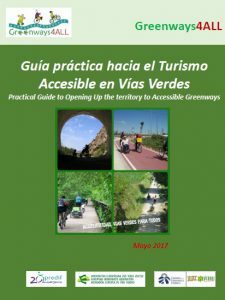 It covers general aspects of accessible tourism, best practices for greenways in Spain and Europe, and includes a section with recommendations for the design of greenways for everyone. 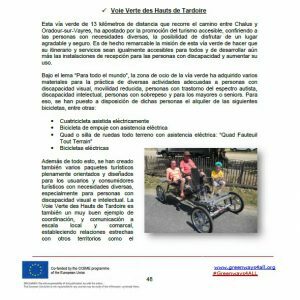 It also includes the methodology of the Greenways4ALL project and some interesting annexes. 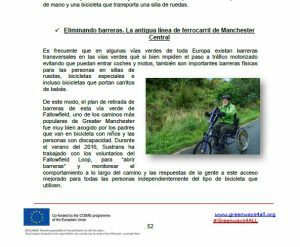 This document aims to promote accessibility on greenways and accessible tourism, and to support the implementation of projects and work plans aimed at helping to achieve those goals. Association européenne des Voies vertes AISBL.